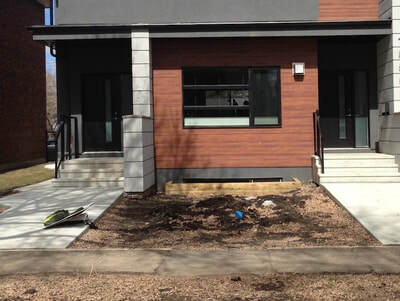 This front yard was designed and installed in 2018. 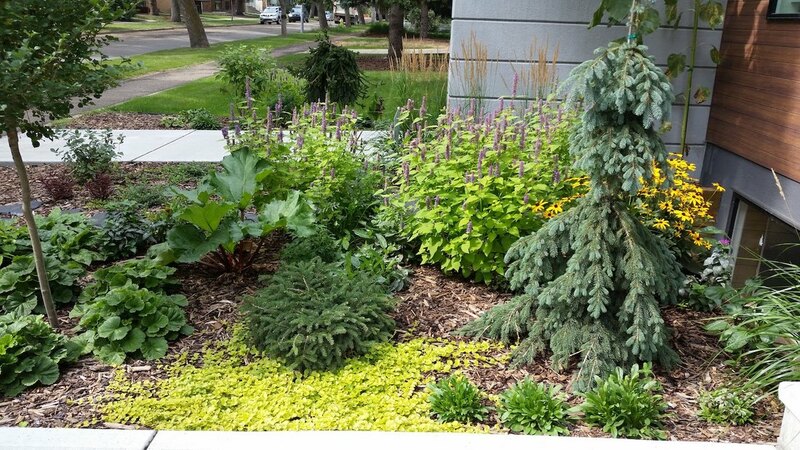 The plant selection includes some edibles, such as Honeyberry shrubs, Rhubarb and Herbs. Additional plants will be added once the sidewalk has been redone by the city. 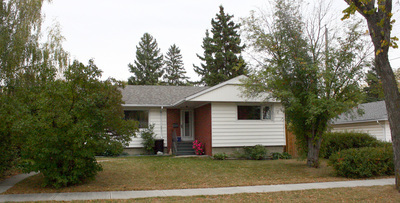 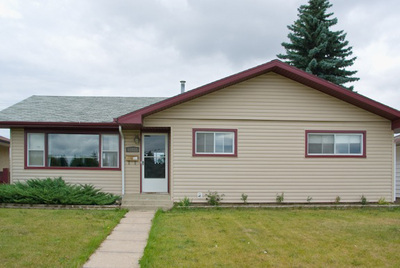 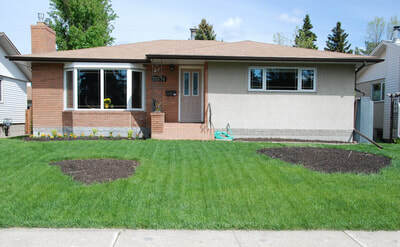 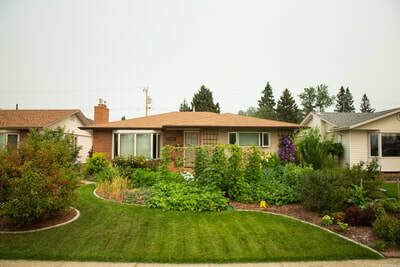 This Edmonton front yard has seen a dramatic transformation from the bare grass yard and the design stage in spring 2011 to the lush garden in 2014 that provides food from spring to fall both for the family and wildlife, including butterflies, bees and birds. 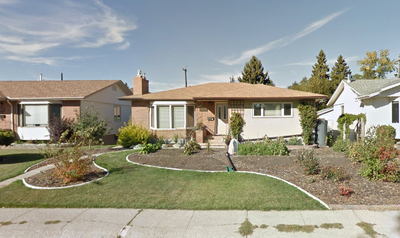 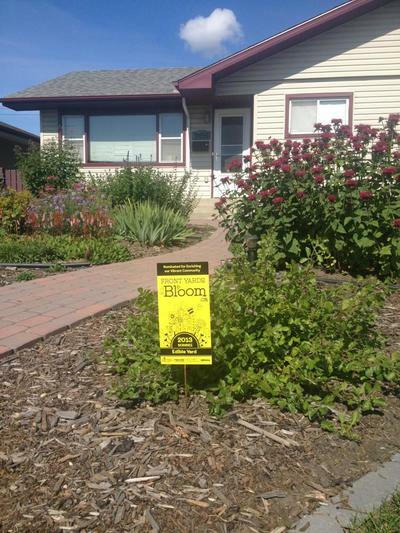 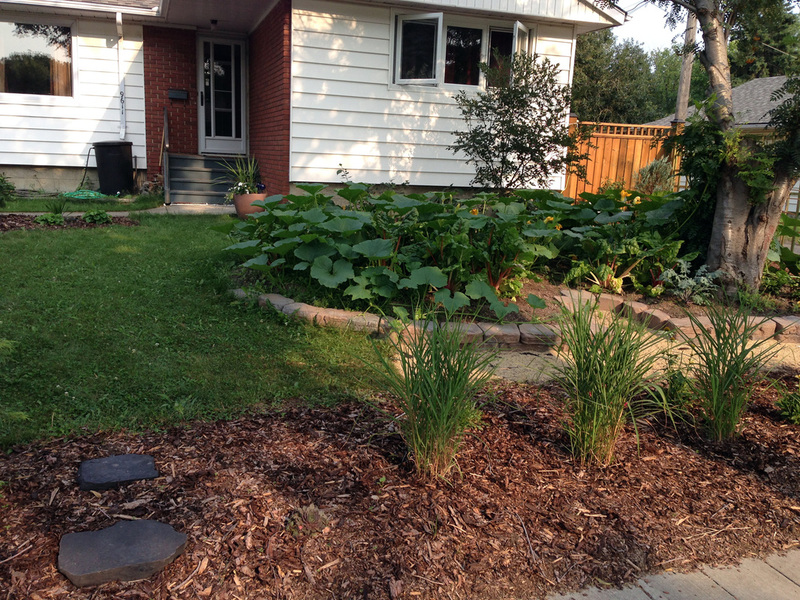 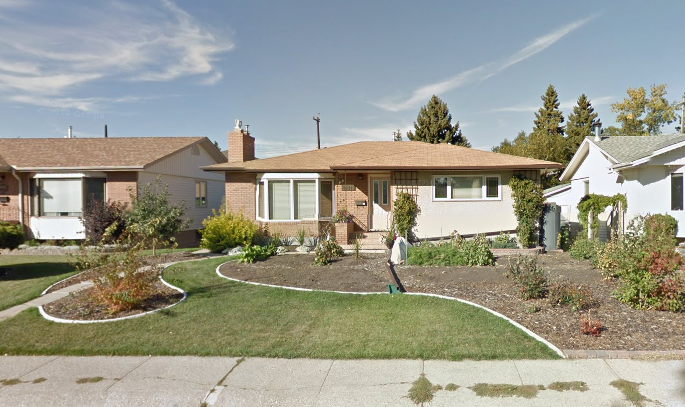 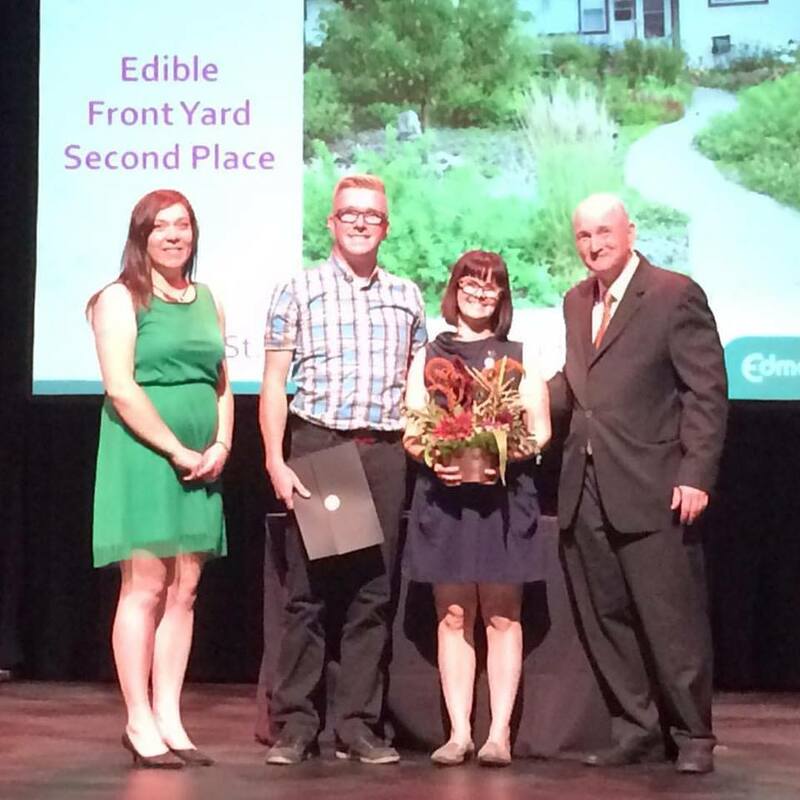 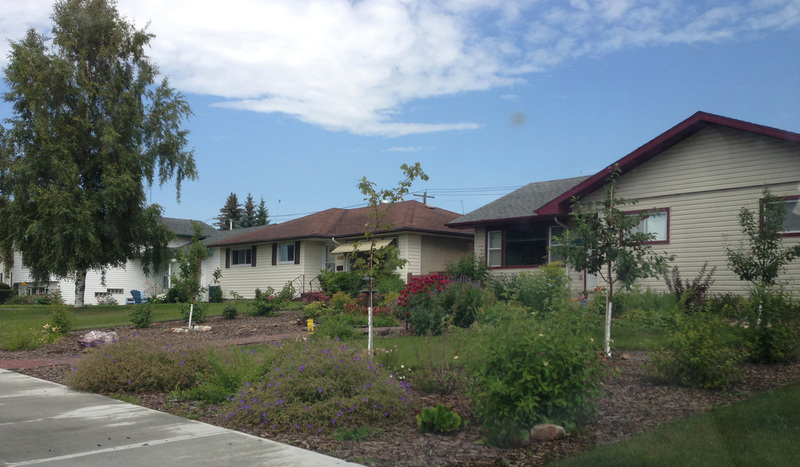 The family received the 2nd Prize in Edmonton's Front Yards in Bloom Awards, in the Edible Yard category in 2016. 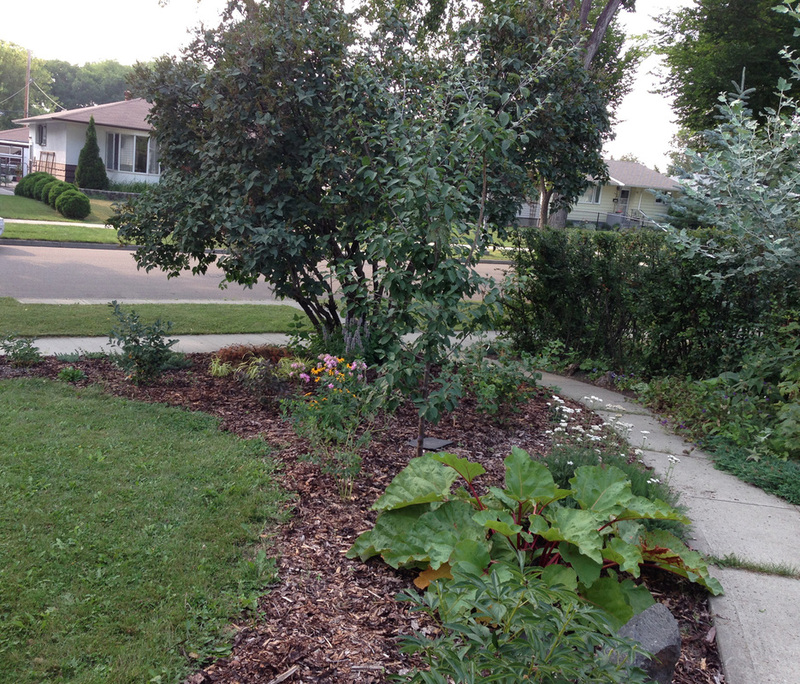 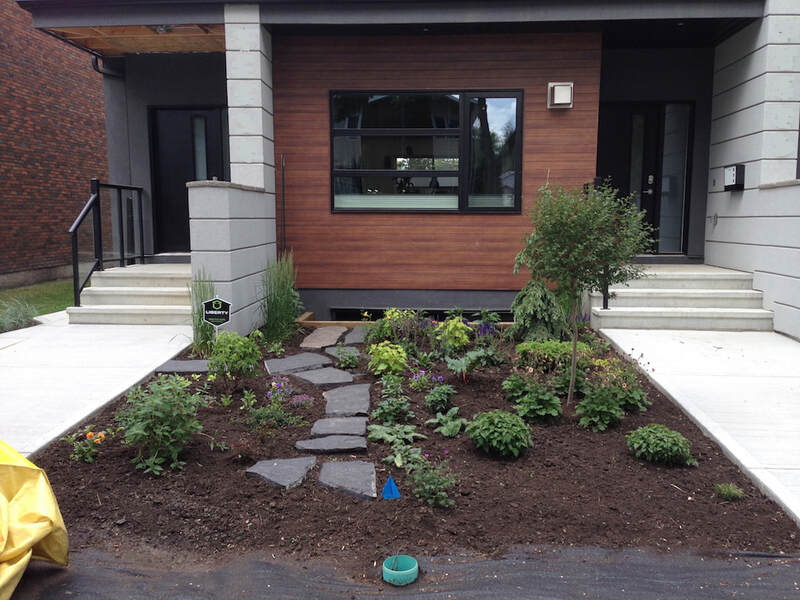 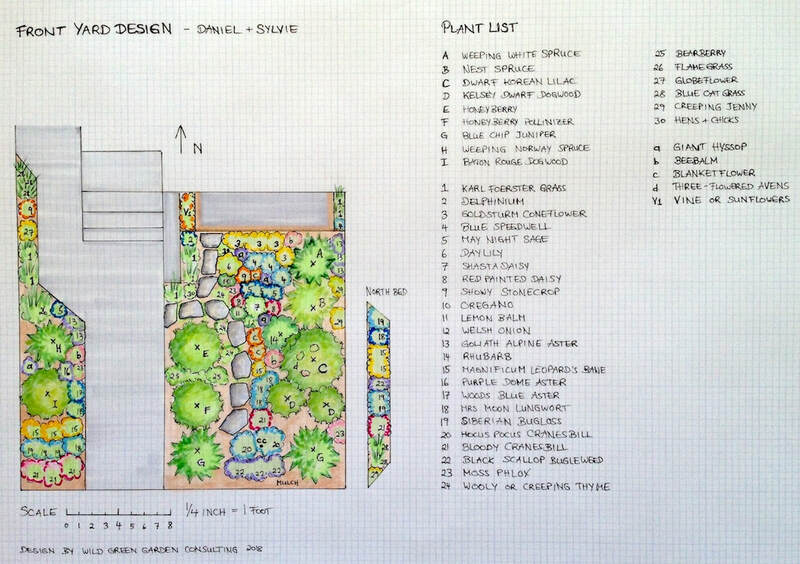 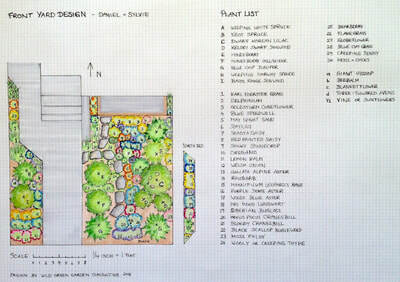 Front Yards in Bloom 1st Prize Winner 2018 in the Edible Yards category: I designed this yard in 2011 and the owners did all the work themselves except for the edging. 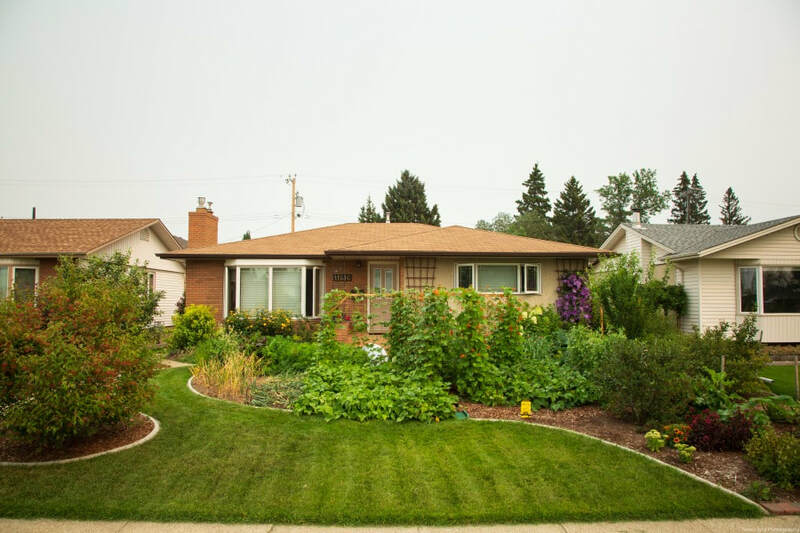 According to the owner, "We continue to get comments from people on how much they like the curved lines and the token amount of grass that was retained." 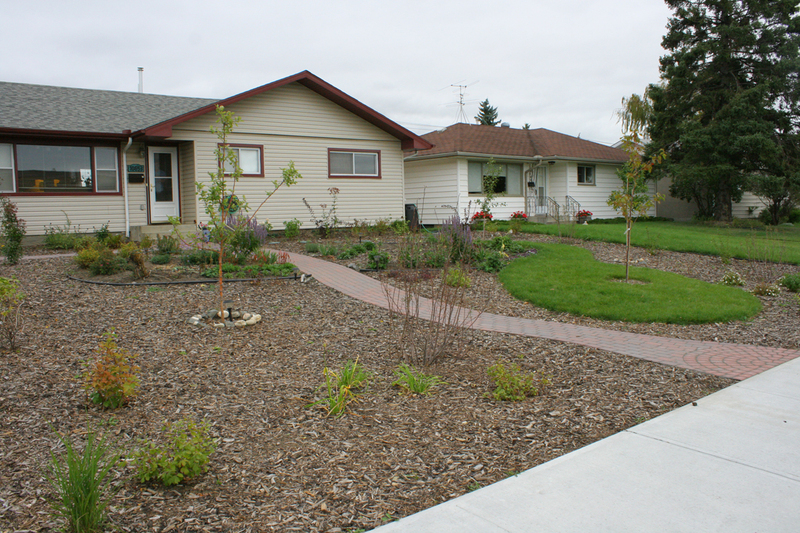 A great example of homeowner 'elbow grease', this front yard was designed in spring 2012 and worked on over the last couple of years. 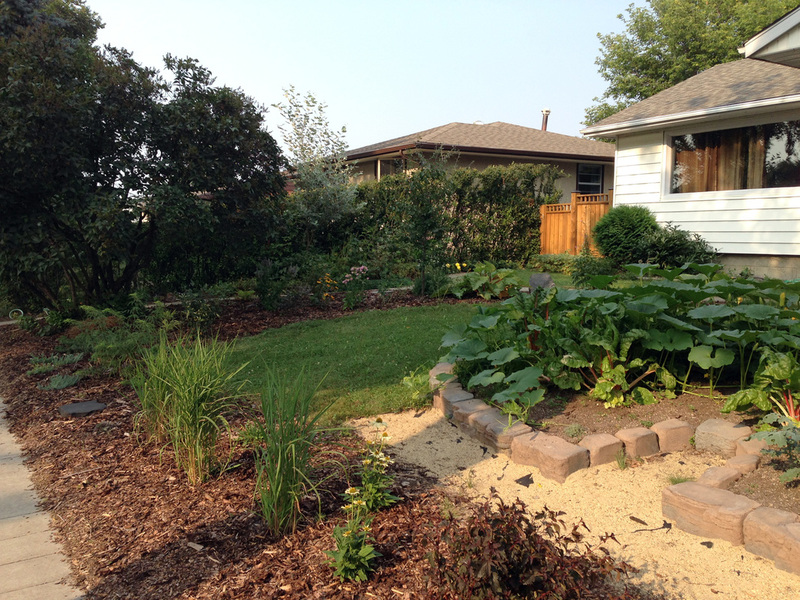 The photos are from August 2014.